Why has European river cruising more than doubled in popularity for Australians in a year when we’re supposed to be broke? Where are the best river cruises in Europe, Asia, Russia, America and Africa? What do you need to know if you’ve never been on a river cruise before? 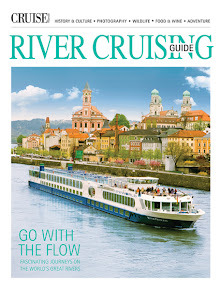 Cruise Passenger magazine’s annual River Cruising Guide, free with the spring issue on sale now, has all the answers. 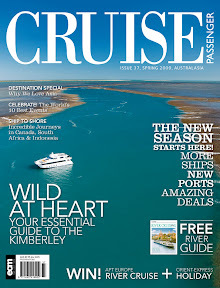 Cruise Passenger is Australasia’s leading cruise publication, dedicated to providing its discerning readership with news, reviews and in-depth features about ships and destinations by the best travel and cruise writers in the business. Destination Asia: it’s close to home and offers an amazing array of cruise and travel experiences – no wonder we’re queuing up to book cruises there. The ‘bible’ of cruising is available at selected newsagents and by subscription for an amazing $29.95 a year for 4 issues, including the annual River Cruising Guide and Adventure Cruise Guide – call 1300 668 905 for details.